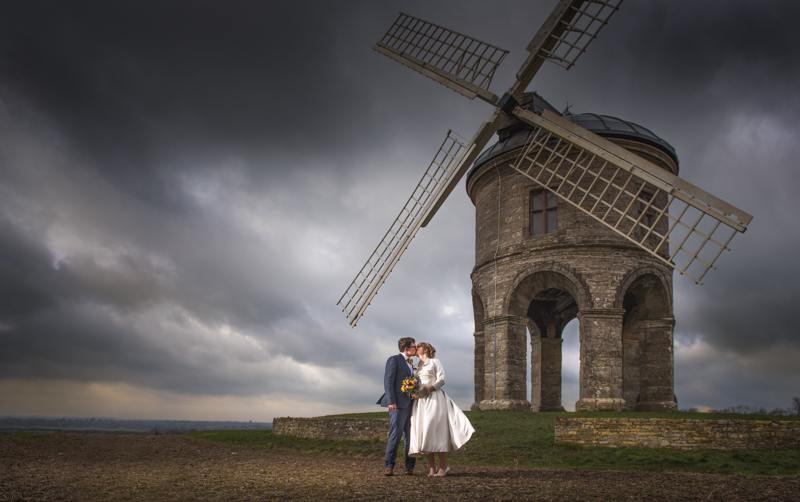 I’m always excited when I can come back with a wedding couple at Chesterton Windmill. You can find a couple of photos from my previous visit to this beautiful, magical place in my other blog post (here). This time it was a winter visit. Cold and windy. The night before we had a snowfall across West Midlands and Warwickshire but as you can see in photos, the snow has melted before we came in. Instead if it, we had some mud. It was difficult to clean our shoes before we got to the Warwick House in Southam (very soon, I will write a post about Warwick House). OK, let’s back to the mill… or maybe a little bit about what happened before. 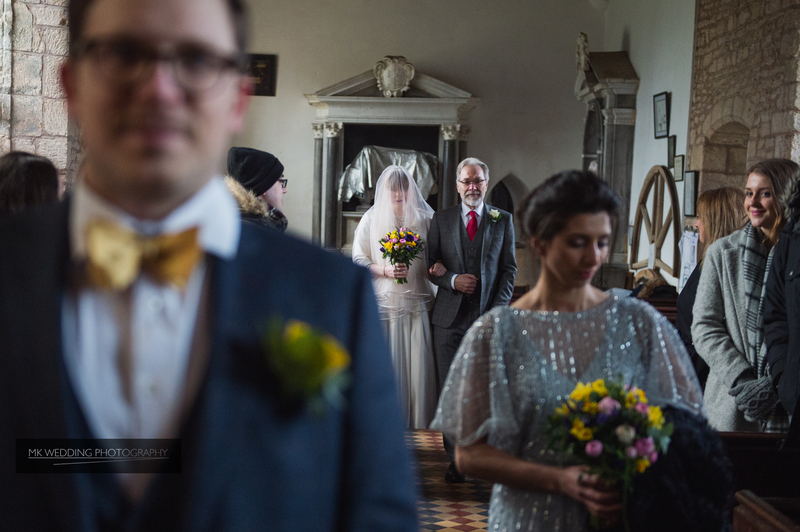 So, before was a wedding ceremony at the gothic church located less than a mile from the mill. In the village Chesterton. A small, old church. beautiful lighting – that’s what we can expect from the gothic church but dark at the same time. I added a couple of photos from the church too. 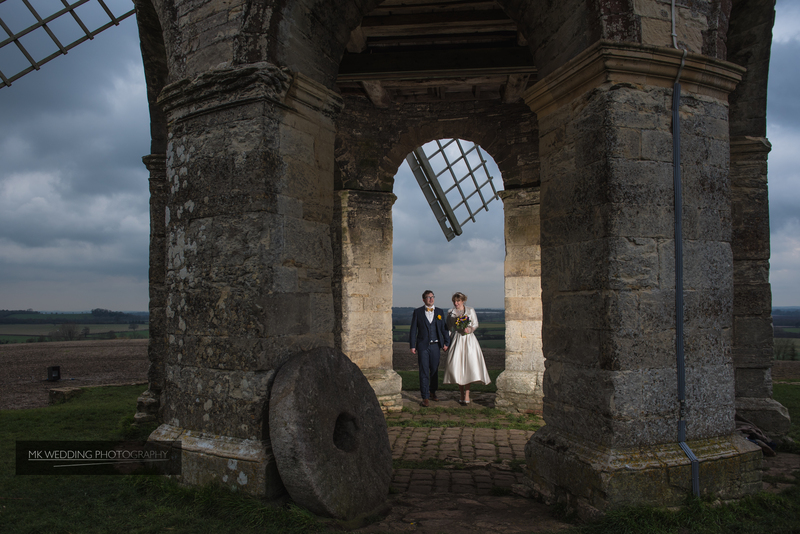 After the ceremony, we have jumped to our cars, and we drove towards the hill where the windmill is located. There was colt at the church but at the mill was extra windy 🙂 We were aware that the session will be short. 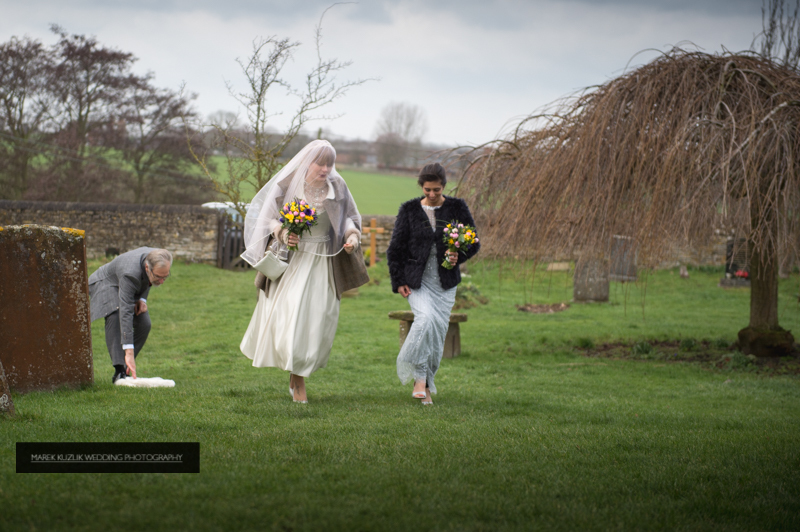 The Werst Midlands wedding photographer – Mk Wedding photography had to give compress knowledge, settings, ideas and all that helped me to create those images (and many more) to extremely short time… but we did it. 10 min session, great effects. Due to the weather condition, and many other factors, we had to reduce the session time to the minimum. Possibly it was around 10 min, where I have used my cameras, and off camera flashes. I captured a lot of natural, and creative at the same time images. And now I can present a couple of them below. Let’s treat this post like an introduction because I’m still editing those photos. By the way, enjoy!